Lifdek is a new product that OFAB has started manufacturing. Lifdek is a new product that OFAB has started manufacturing. This falls into the “one stop shop concept”. Lifdek company came to us with a design that need to be completed, manufactured, ssembled and powder coated for shipment directly to the end customer. LIFDEK Corporation was started by three men with the intent to develop and commercialize a more cost efficient shipping system for lightweight logistics, based upon site-assemblable corrugated pallets. Having both worked with corrugated pallets in the past and experience starting companies previously, they set off in a small warehouse space. 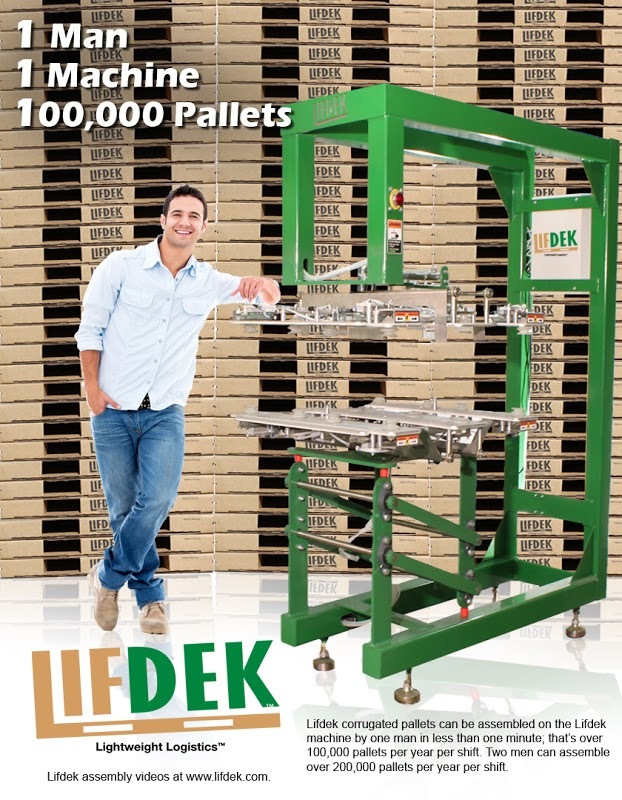 LIFDEK’s goals were to develop the best possible corrugated pallets; with the necessary load capacity, the lowest amount of corrugated board and the fastest and easiest on-site assembly. They pushed this effort which has resulted in six revisions to their pallet design and five pending patents. LIFDEK then came to OFAB to build the assembly equipment for on-site assembly of these pallets. LIFDEK wanted to stay in their area of expertise and looked to OFAB to do their part to bring this business to full readiness for the industry. OFAB recently received a call from a business owner inquiring about custom tables that would match his theme in an up-scale pizzeria. The proprietor was in search of a table that would be used indoor or outdoor, OFAB was able to develop a product that could be used in both settings. OFAB’S engineering and production team developed a light-weight alternative using aluminum 1/8 inch material allowing the business owner to move the tables very easily. In addition OFAB used a UV protected powder coating that would defend the tables against extreme heat and other inclement weather. The owner of the pizzeria purchased 12 tables and has continued to expand his business and utilize OFAB’S wide variety of indoor/outdoor furnishings. The OFAB Kiolsk system was launched in July. The Ofab Kiosk system was launched in July. This is a new Kiosk concept developed by Ofab for law enforcement. This electronic crime fighter is designed to move faster than the criminals by networking Kiosks place around in public places an updated in real-time allowing the public to see missing alerts, wanted felons and sexua offender notification. The public then can pass back leads to law enforcement for quicker apprehension making a safer community. On a local County by County basis, the Kiosk system will give the Sheriff’s Office and Police Departments the ability to work together on solving local crime. By placing their own alerts in high traffic area of the community and using the general public as their team of “watchful eyes” will help reduce the need for additional officers as the public help to solve crimes quickly. Ofab in proud to be the producer of these units which have proved to be a great tool in crime fighting. There are over 100 units out in Marion County Florida. These units were accredited with helping to apprehend 21 criminals in the first 8 weeks of operation.